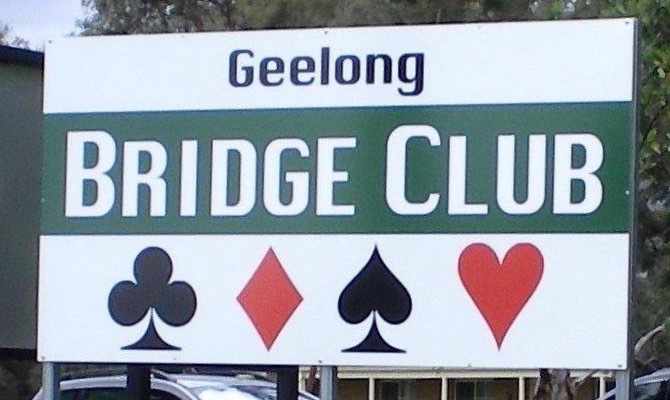 Geelong Bridge Club is situated in the east of the city approx. 75 km from Melbourne. The Club owns its own facilities and provides members and visitors with a first class experience including a library and ample off-street parking. The playing area has capacity for 20 tables and is air-conditioned. Visitors are always welcome and a standby is rostered for most sessions. Daytime events are held on Mondays, Thursdays and Fridays and start at 12.30pm. Evening events are held on Wednesdays and start at 7.30pm. Monthly 'Pizza Sundays' start at 4.00pm. Please be seated 10 minutes before start of play. Most events are 'walk-up' and no prior entry is required. However events such as teams usually require prior entry. This prior entry can be done either at the clubhouse or online. To enter online simply go to Calendar on this site, double click on the appropriate event and follow the prompts. The 2019 Geelong Congress will be held on Sat 29 and Sun 30 June. Beginner's classes are conducted several times each year by an ABF accredited teacher. The next classes start at 09:15am Thursday 11 April 2019. For more details contact Dot Read at dotgeoffread@gmail.com or 0427 626 370.